Many self employed people (sole traders) can rack up debt as a result of running their business. This is a common occurrence and is extremely common for Directors of limited companies to also have to look into an IVA should the business have sought finance with personal guarantees. In these circumstances the business may continue to trade as this would be only source of income. We can assist in arranging and managing an IVA that will ensure your creditors are satisfactorily dealt with whilst you recover your business's financial situation. Yes. Our advice is free of charge. However if you are happy to instruct us to act on your behalf then we do charge fees. You can view our debt management fees online or you can call (NI & ROI) 02891 814890 (UK Mainland) 02920 346530 for further details. Can you protect serving Directors? If you are a Director of a small or large business you have legal responsibilities. As long as these are met your legal position is sound. Should you have given personal guarantees to any loans or overdraft then this could you problems later on. We can discuss these with you as every business situation is different. 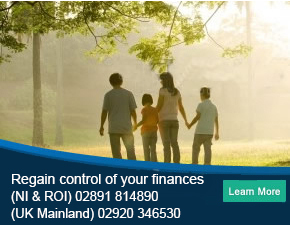 Call us on (NI & ROI) 02891 814890 (UK Mainland) 02920 346530 and will be happy to offer our advice free of charge.